Welcome to this PACE hosted tournament. Commander of March is the second tournament in this month and will determine the player that will proudly wear this rank by his name. 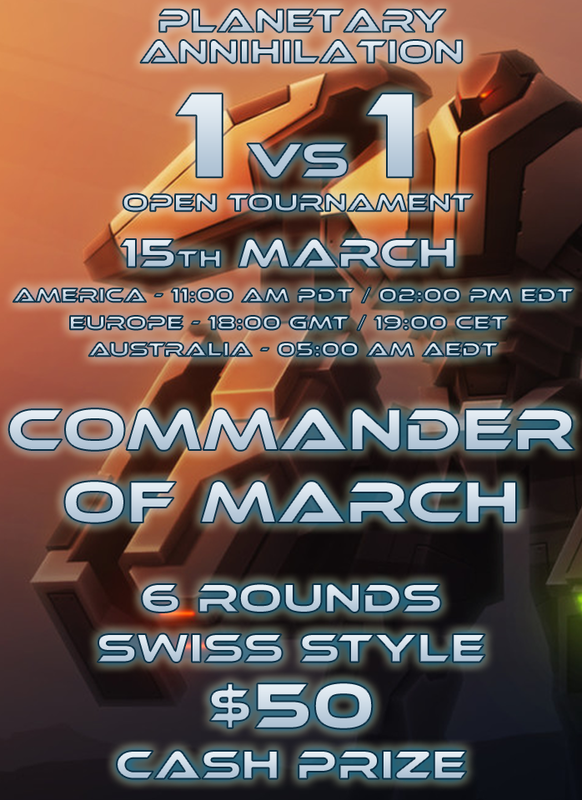 Commander of March is our typical Swiss Style tournament. The tournament is open for everyone, no matter your skill or experience. The Swiss Style tournament addresses the issue with skill differentiation, you will get always matched with a player close to your skill. Even if you are a newcomer, don’t hesitate to sign up. The tournament is a great fun! We will use an online tool Challonge for brackets, so whether you are in the tournament or not, you can track the progress on the brackets link. The brackets will be published on the day of the tournament. To sign up simply follow the link to the sign-up page. If you wish to discuss about the tournament, please do so on the Forums. Let the tournament be a good fun for everyone!